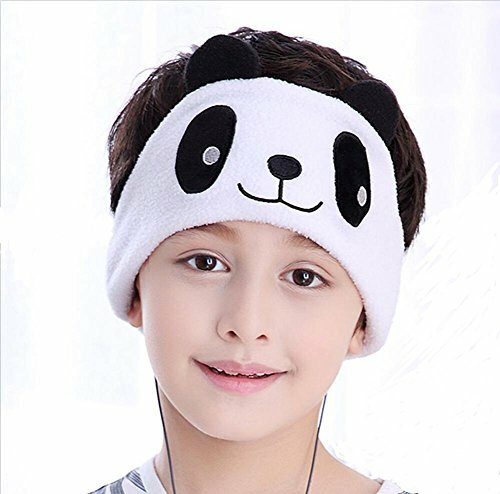 Home › Electronics › Kids Headphones - New Release - Easy Adjustable Kids Costume Headband Headpho.. Kids Headphones - New Release - Easy Adjustable Kids Costume Headband Headpho..
SUPER COMFORTABLE CHILDREN's HEADPHONES - with ultra-thin 1/8" speakers and The Pro Generation is Soft and suitable for all ,With Velcro,tighten or loosen all depends on you. has large range for user from adult to kids. Lightweight, comfortable, washable headband with adjustable, removable speakers provide the perfect fit. PARENTS AND KIDS LOVE THEM - Protective hearing and comfortable. Great for airplane or car travel. Stays in place while lying down or napping in the car. Does not interfere with car seat headrest. Thin and Soft Headphones,made of special fabric, compressive on pressure,good on side sleeper.block out noise and light, Use for sleep, sports, and many cases you want, be pulled down over the eyes as a sleep mask, and will not interfere with a car seat headrest. Authentic , Safty and High Quality Product,Better Fabric Material, more flexible ,and Breathable, Earphone get much easier to adjust by seprate special hole, Easy to remove and get to right position. What's the different with others, you get soft headphones, magic Velcro, professional Package, One Year Warranty.